My friend MJ took a fabulous photo of Lowell I felt compelled to paint. The layers of buildings just spoke to me. I'm just crazy about old architecture. The details and the elegance of them are really interesting and exciting to me. 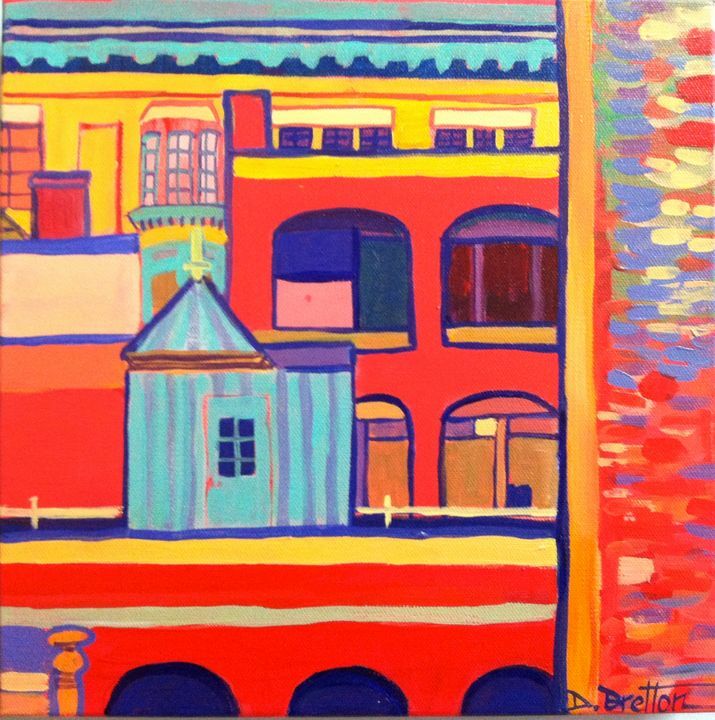 Debra Bretton Robinson is an artist residing in Tyngsborough, MA and a participant in the vibrant Lowell, MA art scene. 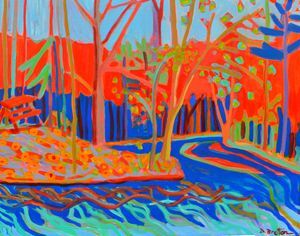 She grew up in Plaistow, NH and has been inspired by the New England landscapes surrounding her throughout her life. She received her Bachelor of Fine Arts degree from the Massachusetts College of Art and Design in Boston where she met her husband. They now have three children together, two of which are in college. 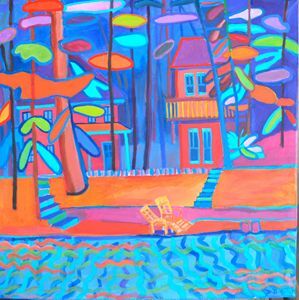 Her acrylic paintings on canvas concentrate on places she encounters every day in her life or frequents, mainly because of her husband who loves to fish and her children who have always inspired her work with color and light. 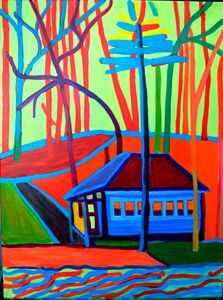 Her style borders between representational and abstract enlisting New England architecture as a base while using bold, contrasting colors for a contemporary edge. 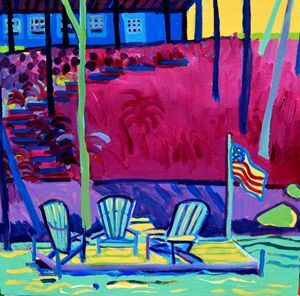 The colors and lines of her paintings are inspired by Matisse during the Fauvist movement and The Seven, a group of painters working in Canada at the turn of the 20th Century. 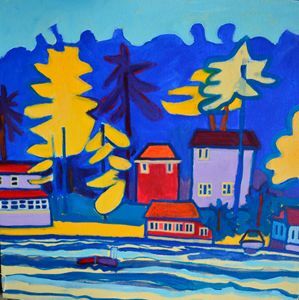 The talents of several other artists she continues to draw upon are: William Henry Johnson, Tommy Thompson, Lawren Harris, Emily Carr, Alice Neel and Edward Hopper. Jazz and Blues music continue to be a force in her work. 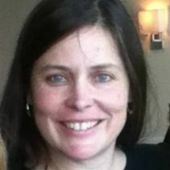 Debra works out of her studio at 122 Western Avenue, Lowell MA #A409. She can be contacted through her email address. Debra currently has her work at several online galleries including the Saatchi Gallery in London, FineArtAmerica.com and the Xanadu Gallery in Scottsdale, AZ.